Oracle Electrodominance deals X damage to any target. 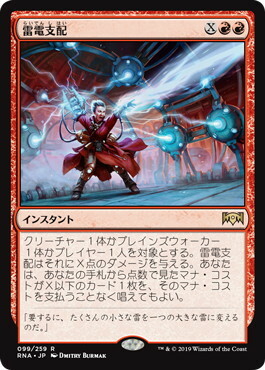 You may cast a card with converted mana cost X or less from your hand without paying its mana cost. 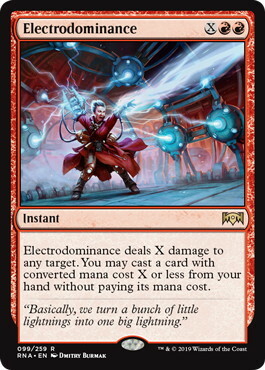 Flavor Text Basically, we turn a bunch of little lightnings into one big lightning.